This training event is generously offered for FREE to ECHO Members thanks to the support of our corporate sponsors and partners. ECHO (Every Coast Helicopter Operations) is excited to announce our spring 2019 Tactical Flight Crew Academy in West Palm Beach, Florida during the week of March 25th through the 29th. Of course in ECHO fashion, the academy is FREE! Hosted by one of the premier law enforcement aviation units in the United States, the Palm Beach County Sheriff’s Office and ECHO has teamed up to bring you an exciting week of courses and topics for both pilots and tactical flight officers. TFC is designed for the aircrew! The course, which is offered to law enforcement officers only, fills up quickly! So, don't hesitate and miss this free training! ECHO is for aircrews by aircrews. ECHO believes the best way to learn is to learn from others who do it too. Presentations and course are taught by peers, co-workers, and flight crews just like you. At TFC Palm Beach, you will network with other aircrews near and far. Leading industries vendors will be on site during the vendor days. Food? This is ECHO! Of course we will feed you! Snacks, drinks, coffee, donuts, bagels, fruits, and pastries to start your morning. Most importantly... lunch is on us. We won’t let you go away hungry! ECHO will make sure you will have a full belly each day. Speaking of food… The Fly-in BBQ will once again take place one evening during the week. This event is for you to bring your family, friends, and aircraft to an evening of great food and the smell of Jet-A. This special event invites any of the representing agencies or aircraft crews wanting a cross-country to fly in their aircraft for a static display. So shine up those helicopters and enjoy a fun relaxing evening. Group rate is valid until 45 days before the event. We have fifty rooms, so don't hesitate because they will book quickly. 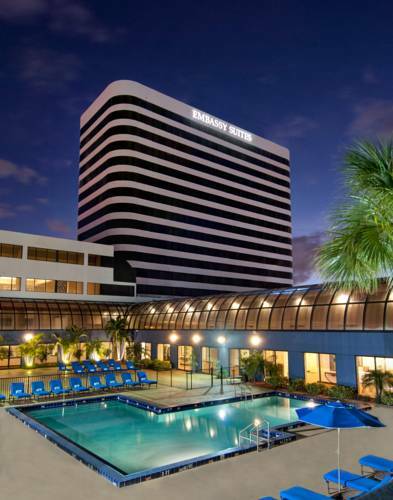 The hotel has an airport shuttle, gym, pool, breakfast, and other amenities just a few miles from the sunny shores of West Palm Beach. Looking for Sponsorship and Exhibitor Information?